How do I connect to my device via console cable from my mac? 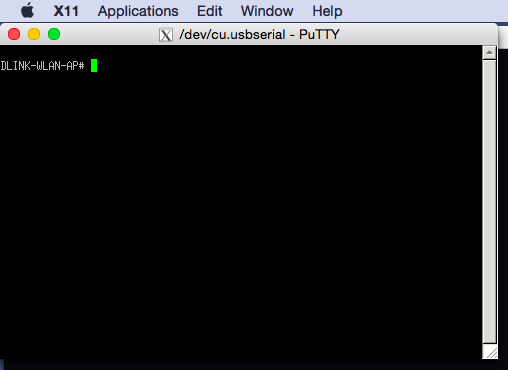 Step 1 – Open Terminal and type “putty” into the terminal window and press enter. Step 2 – Once the putty window opens, select the “Serial” option. Step 4 – Optionally, type a name in the “Saved Sessions” box and click “Save” to store the settings. Step 5 – Click “Open” to connect to your device. You may need to press the “enter” key to see any text.